The new year is around the corner one more time and in these times of crisis, we should invest in more secure markets, some prefer gold, I prefer my family. Here's my daughter impersonating the black swan I think. Watching them grow to become teens, watching their ambitions, their plans for the future does make you wish for a better world, for a happy new year! Come to think of it that is all we've got that really matters, our family, our friends. I like your sentiment and the shot is fantastic! Love the wit shown in this portrait and appreciate your sentiment relating to investing in family and friends. They do stand the test of time and fluctuating finances. 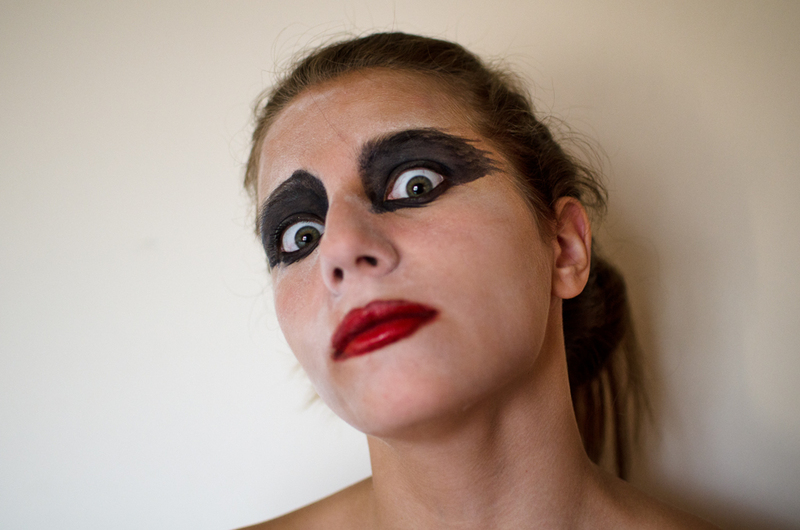 Your daughter's beauty shines through the "black swan" disguise. Happy New Year to you and your family! Here's to another year of great posts! Thanks and best wishes for 2012 to all of you. You are very kind! Love this photo! All the best to you and family for 2012 ! bonne année 2012, remplie de bonheur, de sérénité, et de jolies photographies !